Sevenhugs is a French company that is helping families integrate smart home technology. The various devices make it easy to improve the living condition of every member of the family. The innovative technology is simple to use and guaranteed to be reliable. With Big Apple Buddy’s personal shopping service, you can now buy direct from the Sevenhugs online store anytime, anywhere. Get your entire family to have a good night's sleep! The HugOne from Sevenhugs is helps you track and improve the sleep of everyone. This is the best day to set up a bedtime for your children and make sure that they're getting the rest they need. From temperature to lights, this smart device controls all the factors that affect sleep so you and your family can achieve optimum rest overnight. 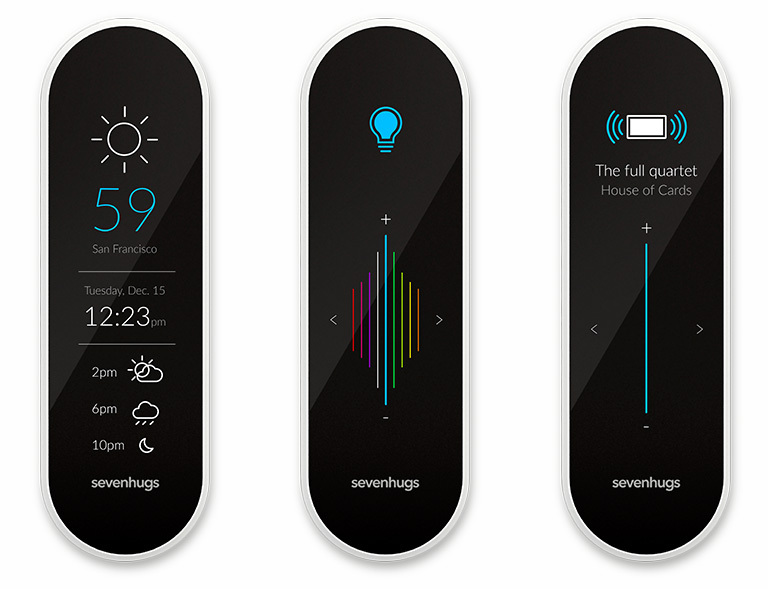 One of the most anticipated gadgets from Sevenhugs is the Smart Remote! Don't miss out on this innovative technology that will help you manage your smart home with just one touch. 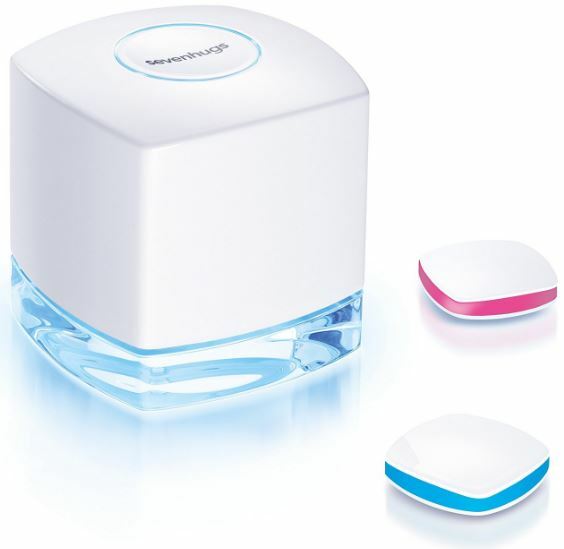 Best of all, it is compatible with other smart home devices like Nest, Philips Hue, and more. You just need to point and touch! This smart remote is easy to use and will quickly recognize what you're trying to control. It's more than just a remote! 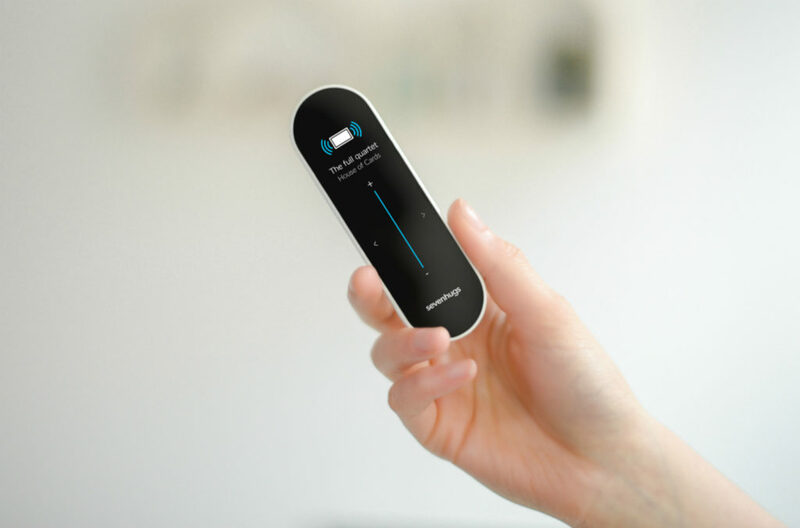 The Smart Remote is unlike any other control you've ever seen. No other device can control so many areas of your home like this Sevenhugs invention. From thermostats to speakers to lights, there are various devices that make up a smart home but you don't have to stress when you have a smart remote like this one. All it takes is one touch and it's done! Unfortunately, the USA Sevenhugs online store does not currently offer international shipping. However, Big Apple Buddy, your personal shopper, can help you buy products direct from the official USA Sevenhugs online store and ship them to your doorstep, no matter where you are in the world. We offer international shipping to over 110 countries including Australia, Austria, Azerbaijan, Bahrain, Belgium, British Virgin Islands, Brunei, Bulgaria, Canada, Chile, Costa Rica, Croatia, Czech Republic, Denmark, Estonia, Fiji, Finland, France, French Polynesia, Germany, Gibraltar, Greece, Greenland, Hong Kong, Hungary, Iceland, Indonesia, Ireland, Israel, Italy, Japan, Jordan, Kuwait, Latvia, Liechtenstein, Lithuania, Luxembourg, Macau, Malaysia, Maldives, Malta, Marshall Islands, Mauritius, Monaco, the Netherlands, Netherland Antilles, New Zealand, Norway, Oman, Poland, Qatar, Romania, San Marino, Saudi Arabia, Serbia and Montenegro, Seychelles, Singapore, Slovak Republic, Slovenia, Spain, South Africa, St. Lucia, Sweden, Switzerland, Taiwan, Thailand, the UAE, the UK, Vatican City, and Vietnam. If you would like to buy from the USA Sevenhugs online store, simply let us know which items you would like to order (by filling out the form below) and we’ll get back to you with a free international shipping quote within 24 hours!